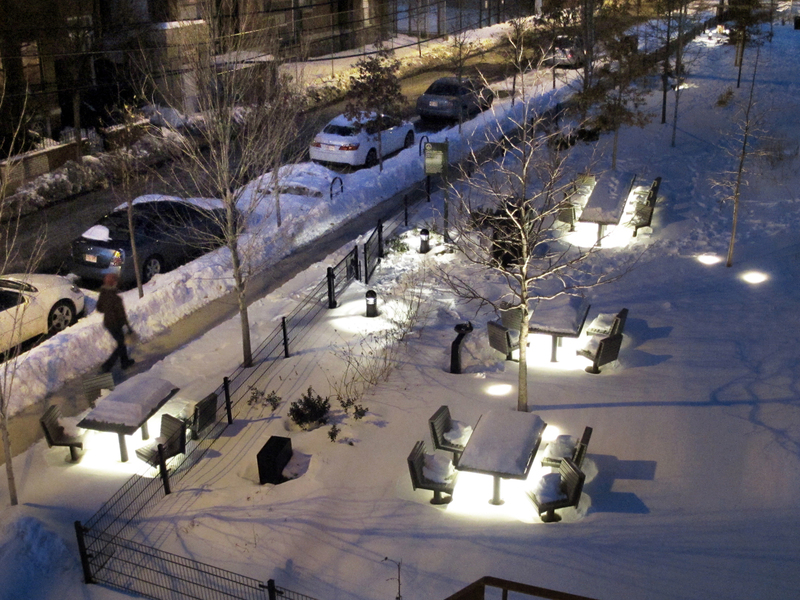 By angling the fence, ten-degrees, at the Park’s main entry and café seating area, GV created space for a table and four chairs directly on the sidewalk. Passersby, dog walkers, and park visitors wanting some separation from kids, gravitate to this space. Roberto De Oliveira Castro and Ryan Pinkham of Over,Under designed custom furniture to fit a variety of spaces throughout the park.